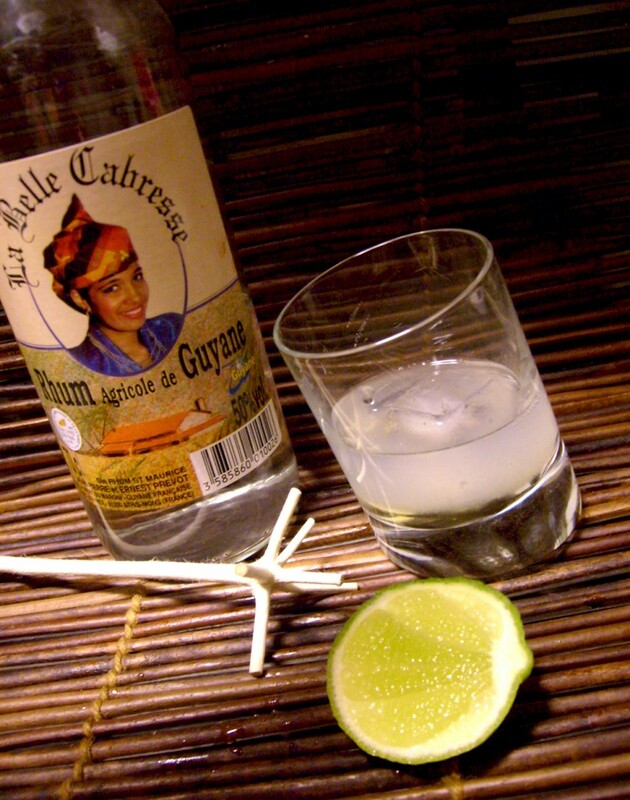 If you happen to visit French Guiana, it won't be long before someone offers you a Ti Punch. Just remember that, if you accept, according to local custom the second drink is obligatory or you risk insulting your host. Rum is of course a specialty of the West Indies and this drink is one of the simplest and most popular ways to enjoy it. Normally the ingredients are placed on the table along with a few glasses and spoons and everyone mixes their punch to their liking. If you can't find bottled simple syrup, make you own by boiling equal parts of sugar and water, until the sugar has dissolved. Allow to cool before using in your ti punch. Squeeze a lime wedge or two into a glass, then drop them in the glass and crush with a spoon. Stir in the syrup and then the rum.